We believe children are a valuable gift from God. Through loving relationships and structured activities, we help our children grow spiritually, emotionally, physically, mentally, and socially. Our preschool ministry is committed to a child-friendly environment that emphasizes learning through play. The grade-school ministry (grades 1 through 5) is committed to age-appropriate teaching that enhances the learning style of each age group. We support and encourage parents as they lead their children to a foundation of knowledge and faith in Jesus Christ. Vacation Bible School, Children’s day trips, camps & recreation, and discipleship opportunities are offered during the summer. To receive weekly updates about the children's ministry, click here. Every Sunday morning for children birth-5th grade Bible Study is offered from 9:45 to 10:45. 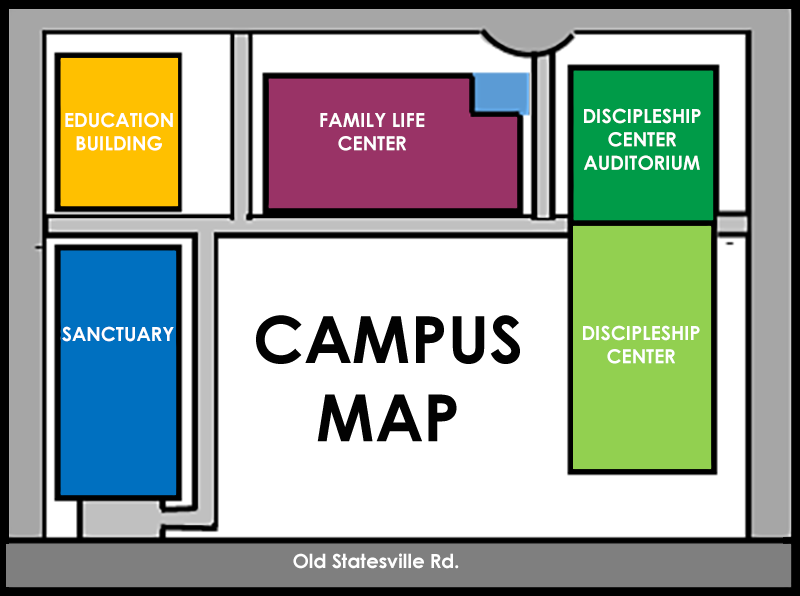 Preschool classrooms are located in the Family Life Center (Infants – Kindergarten). 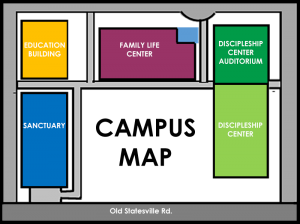 Grade School classrooms are located in the Discipleship Center (Grades 1-5). Our children are taught by volunteers who are church members and are screened for security purposes. Each classroom has two teachers at all times. Extended teaching care (ETC) is an extended teaching time for children ages birth to 4. It is designed to be an extension of the learning that has taken place in Bible Study. We have a team of caring volunteers that rotate every four to six weeks during the worship service (10:45 – 12:00). Children 3 years old through 5th grade participate in music activities and choir on Wednesday evenings during the school year. 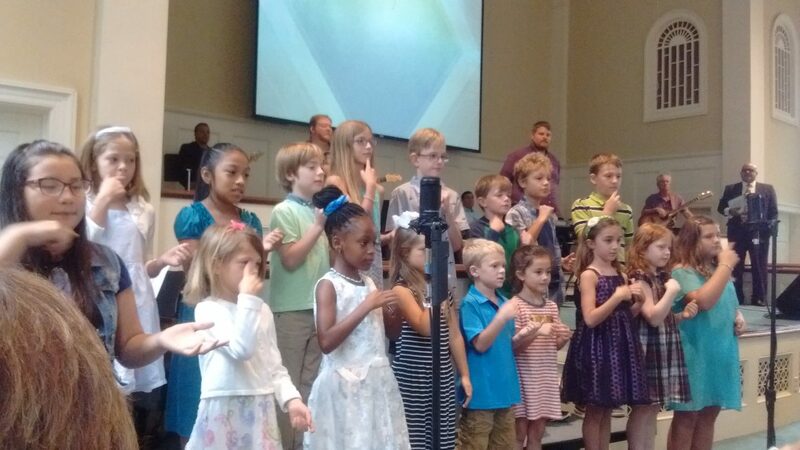 Children have opportunities to sing during Sunday morning worship services throughout the year and for other special presentations. Materials utilized are from Celebrating Grace as well as other publishers. Preschool choirs meet in the Family Life Center. Grades 1-5 choirs meet in the Discipleship Center. Children 3 years old through 5th grade participate in mission activities (stories, crafts, prayer times, games, service opportunities and more) on Wednesday nights during the school year. Children also have the opportunity to participate in several special activities such as lock-ins, camping trips, mission projects, and seasonal studies. Materials are published by Women’s Missionary Union, Cooperative Baptist Fellowship, and the North American Mission Board. 4:45 – 5:30 PM – Grades 1- 5 Children’s Hand-bells – Sanctuary.